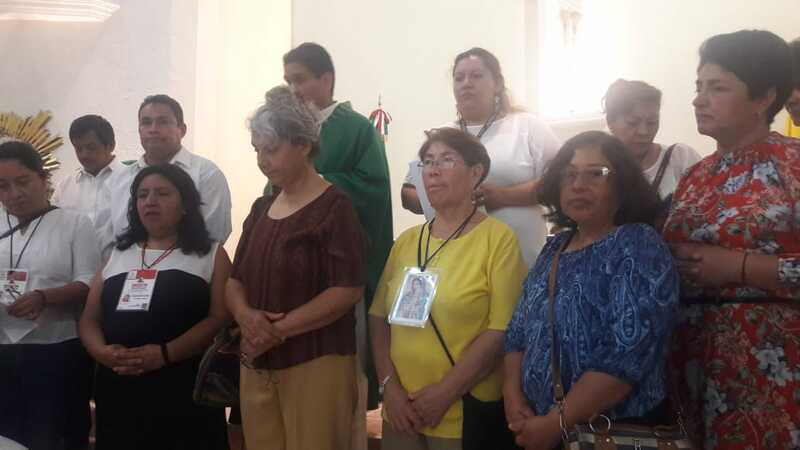 On Sunday September 16th, 2018, a Holy mass of Consecration of the Families that fulfilled their catechesis (Home Enthronement of OLOG and 11 home visits), was presided by our vicar Jesús Galván Martínez at 5:00 PM at the temple of San Pedro. San. Pedro Peñuelas, Queretaro. Qro. Consecration prayers were prayed before the Mass ended. Once we received the priest 's blessing, we proceeded to hand out the certificates to the 35 families. After that, Father Jesus invited all the missionaries to approach the altar thanking them for supporting this Mission and inviting the families to join in the work of our parish, pointing out that we are all serving in different movements.